If you are a regular user of Ouija boards, then many of you have probably heard of this week’s Nightmare Fuel topic. If not, allow me to introduce you to… the ZoZo Phenomenon. Let me start by explaining, for those just new to the horror realms what an Ouija board is. Sometimes referred to as a spirit board, an Ouija board is some form of a flat surface, most of the time wood or cardboard, with the alphabet, the numbers 0-9, and common words such as “yes”, “no”, and “goodbye”. You place your fingers lightly on a device called a planchette and wait for the spirits to begin moving it around. 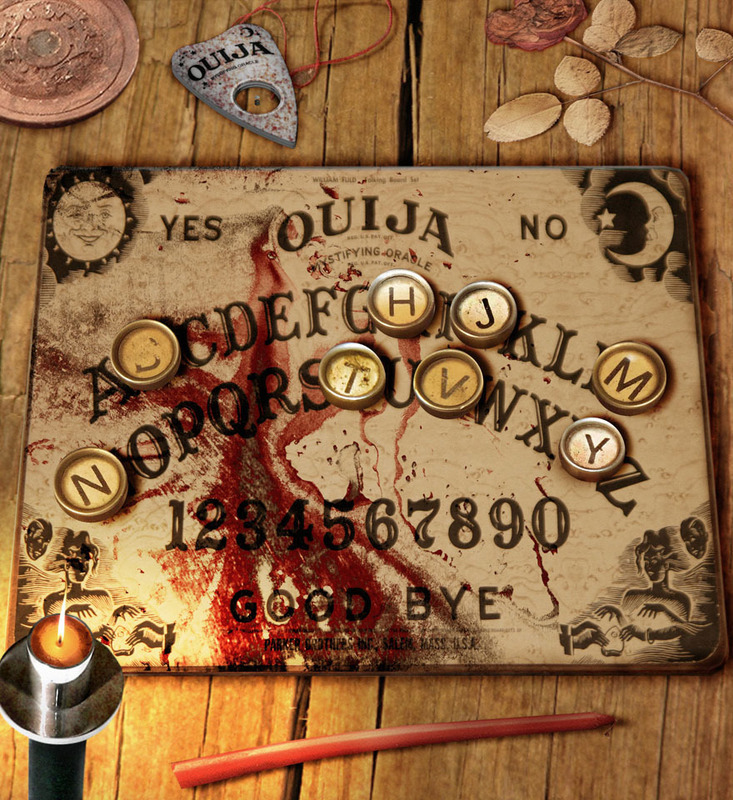 Once a connection with a spirit is made, you can ask it questions, which the entity answers by moving the planchette to different parts of the board. Because of the nature of people in moving the planchette, whether deliberately or subconsciously, there is a certain level of uncertainty in the effectiveness of the device. What makes the ZoZo Phenomena particularly interesting is a number of people reporting it from around the world before it became a talked about thing, since 1816 according to the earliest stories. The beginnings of the stories share this similarity, an Ouija board session is started and an entity identifying itself as ZoZo (or sometimes ZaZa or ZoSo). From there, the stories diverge drastically. Some people have reported things like the spirit providing an answer to questions it had no reason to know and impersonating others just to frighten the users of the board. Others have reported bumps, bangs, and threatening messages. Still, others have experienced possession and death threats/predictions. For one person, in particular, ZoZo not only predicted how he was going to die but used the man’s ex to attempt to bring it into being when she stabbed him to death. 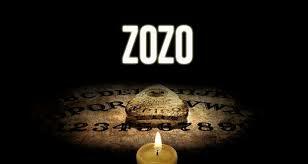 Some people say that ZoZo is simply a mischievous spirit or a collection of copycat spirits. Others claim that it is a demon bent on creating as much mayhem, death, and pain as possible. It may also be the result of mass hysteria, deep-seated human fears, or an urban legend. I myself think that ZoZo is a collection or mix and match of all of the above. One thing is for certain, the ZoZo Phenomena is one that should not be taken lightly or ignored, especially if you use an Ouija board. The Ouija board is a timeless board game that has been scaring people for decades. It is a classic board game that has been portrayed in movies, books, short stories, and countless horror tales that have been passed down through the generations. When people think of Ouija boards, they think of demons, ghosts, haunting, and a scary experience overall. Some people absolutely refuse to have this game in their house or be in the same location as it. This review will go over how to play it, the lore, and my personal review of the game. Get ready to be scared. The lore behind the game is that basically, the religious community believes that it is the gateway to hell and has dismissed the game for decades. They believe that playing with the game awakens malevolent spirits and opens the players up for a hunting or being possessed. The game is being kept alive by teenagers and young adults who play it. My take on the game: It really depends on what you believe if you get something out of the game. If you do not believe in the Ouija board or the afterlife, or heck, spirits in general, you may find the game boring and pointless. But, if you do believe in it, it can impact you for the rest of your life. I, personally, do believes in ghosts as well as demons. I have played this game numerous times but nothing has happened to me yet. It could be a number of factors as in there are no spirits present or the people I’m playing with don’t believe so the spirits keep away. All in all, I rate this game an 8/10 just because of the lore, controversy, and creepiness of it all. Until next time my games, stay scared.